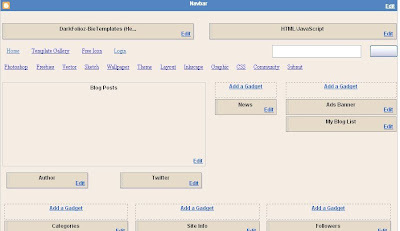 Introducing my ( & my friend from www.bietemplates.com) blogger template design. 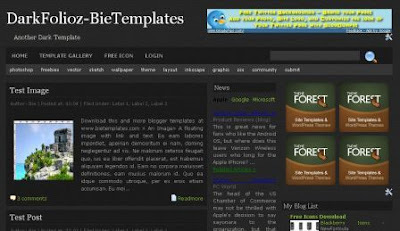 Dark folioz blogger template, designed multi featured. Bie, that&#39;s my name. Im just an ordinary blogger.Ea eam labores imperdiet, apeirian democritum ei nam, doming neglegentur ad vis.Ea eam labores imperdiet, apeirian democritum ei nam, doming neglegentur ad vis. pretty cool bud I like your templates and work overall. hi sorry to bother you, do you know how to identify which one is feedburner ID? Well because my google Id is using my yahoo Id to signin but I'm not sure that is my ID or not. How do you get your Blogger layout settings to look like the one you have up there. The picture I am talking about is the one below where it says, "Installation Setting." Do i need to register on feedburner and have a domain to get a "valid ID" to change "RSS subcribe on post"? Dark folioz is the insetting and more enjoyable so that can be know that regarding post. Mostly are very like it.